Showcasing transitions and drops that vary from trap to UK bass, Tulsa native TYNVN exemplifies that nasty, tribal flare with his debut on Dim Mak’s New Noise imprint. Aggressive from the get-go, ‘Pounce’ is an electro-inspired stomper with marching snares and a propelling backbeat that doesn’t let up for a moment of its duration. Pronounced “tie-nan”, TYNVN is no stranger to releasing tunes. The bass enthusiast secured his first official release this past June with the track ‘100’ and has steadily built a promising following on SoundCloud with his own dirty renditions of Fetty Wap’s ‘Trap Queen’ and The Chainsmokers’ ‘Let You Go’. He even turned back the clock to remix Eiffel 65’s ‘Blue’, producing a nostalgic cut for any throwback playlist. The promising producer is apparently making a splash in the dance music scene with his Dim Mak debut, so grab this free download courtesy of Dim Mak’s New Noise. New Noise is Dim Mak's free download platform which focuses on new, cutting-edge sounds from burgeoning artists across the genre spectrum. 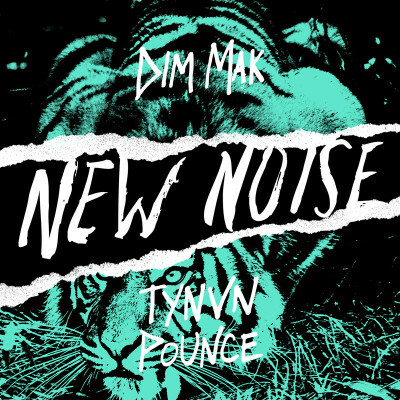 Check out the New Noise playlist on Dim Mak's SoundCloud every other Tuesday for the latest New Noise release!